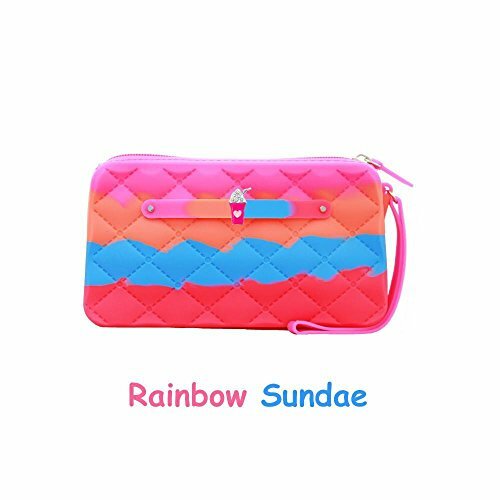 This yummy gummy wristlet is designed for girls on the go! natural scents are poured into the silicone at time of production to scent the wristlet with delicious flavors. Made from 100% food grade silicone, which is safe for kids. Silicone is water and stain resistant. Wipes clean with a damp cloth. Measures 6.5" x 1" x 3.5". recommended for ages 3 and up. This yummy gummy wristlet is designed for girls on the go! If you have any questions about this product by American Jewel, contact us by completing and submitting the form below. If you are looking for a specif part number, please include it with your message.